Mark your calendars for Saturday, November 2, when the 2019 Louisiana Book Festival comes to town! The Louisiana Center for the Book in the State Library of Louisiana is proud to present the 16th edition of this free, world-class literary celebration. Come join the fun from 9 a.m. to 4 p.m. downtown at the State Library of Louisiana, the State Capitol, the Capitol Park Welcome Center and nearby locations. Whether you're young or old, enjoy puzzling over a good mystery, have a thirst for history, can't get enough of poetry or love to cook up some great Louisiana dishes, our national award winning event has something for every book lover. 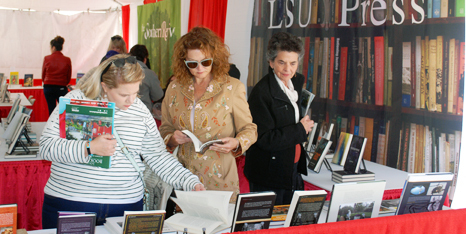 The Louisiana Book Festival is your chance to meet exceptional writers while enjoying book-related activities and presentations. 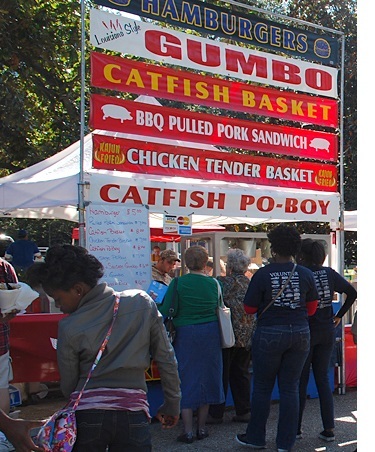 Download the Louisiana Book Festival app! Information will be posted here when the 2019 mobile app is available. The 2018 Louisiana Book Festival will take place on Nov. 10in downtown Baton Rouge at the State Library of Louisiana, the State Capitol, the Capitol Park Museum, Capitol Park Welcome Center and nearby locations. Click here to view information about parking, event locations and more. This was a truly wonderful literary experience.